It's time again for Secret Recipe Club reveal! My secret blog assignment this month was Sid's Sea Palm Cooking. Sid lives in a small town 30 miles from the nearest Mexican or Chinese restaurant - or probably any other good restaurant, so she makes her own food at home. I bet it tastes better anyway! And Sid is really good at making the recipes simple and easy-to-follow so anyone can do it. I kinda got stuck in the Mexican food section while trying to narrow down my choices. 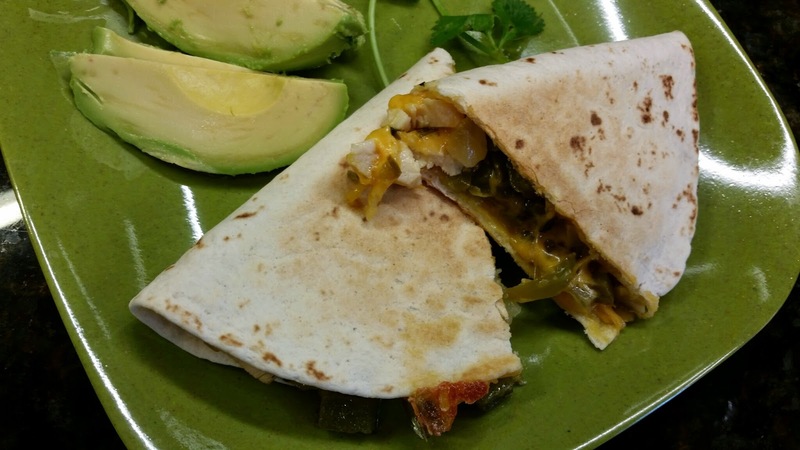 Southwest Casserole and Acapulco Chicken were two that caught my eye, but I finally decided on these yummy quesadillas. I'm always on the lookout for easy but flavorful dinner ideas, and these fit the bill exactly. Serve these with a nice salad, and you have a quick and delicious dinner. Heat a little olive oil in a medium skillet over medium heat. Add diced onion and peppers and saute until onion starts to soften. 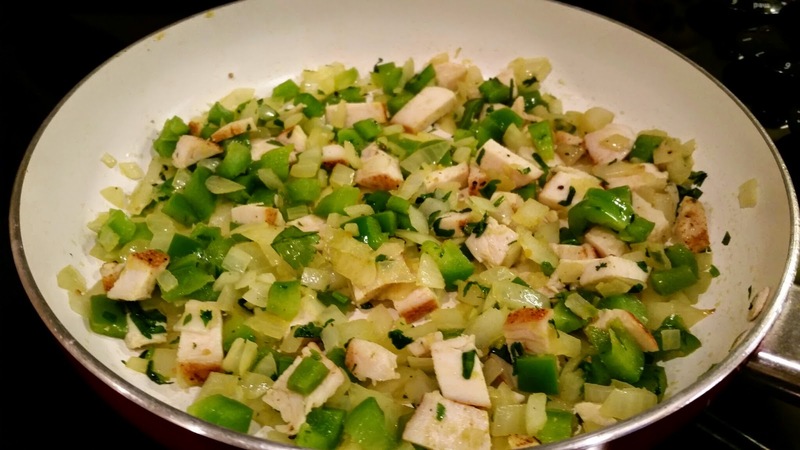 Add diced chicken and cilantro and heat through. Set aside. Place 1 tortilla in a larger skillet over medium low heat. 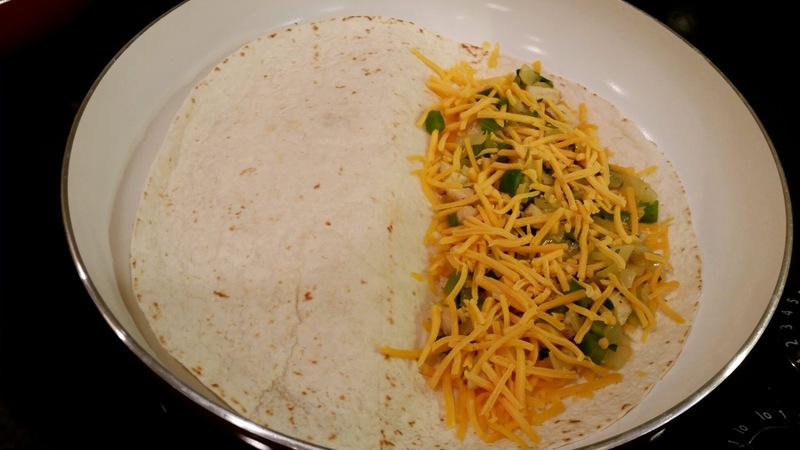 Add a layer of cheese and then half of the chicken and vegetable mixture, covering the entire tortilla. 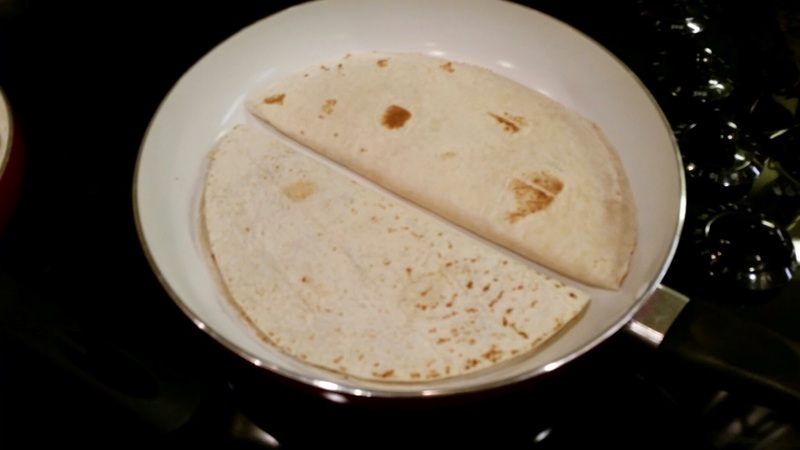 Heat until the cheese starts to melt and then fold tortilla in half. Add the other tortilla to the skillet; half of it will be resting on the first one. To the half sitting on the bottom of the skillet, add a layer of cheese, the rest of the chicken and vegetable mix, and then another layer of cheese. Fold over. Heat until cheese is melted and tortillas are starting to brown. Flip over and brown the other side. 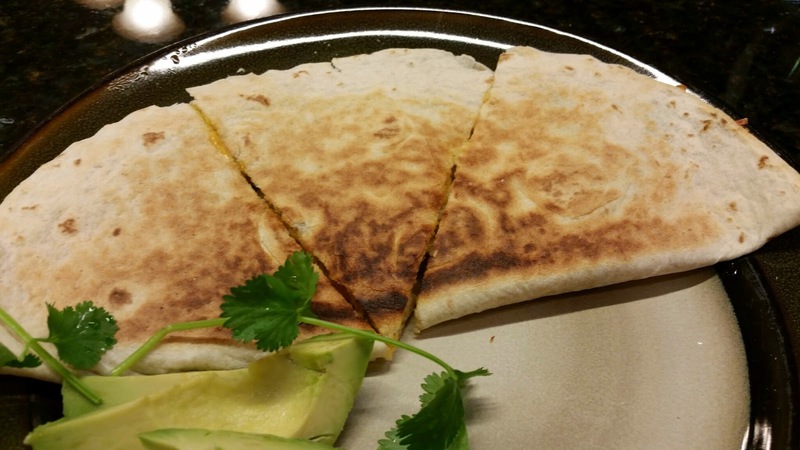 Once they're browned to your liking and all melty, remove quesadillas from the skillet and cut into wedges. Serve with salsa and sour cream if desired. 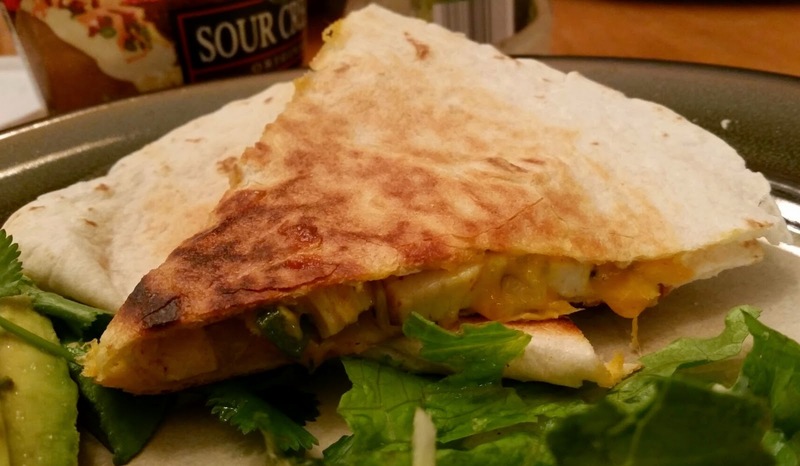 Sid added the minced jalapeno to her quesadillas, but I chose to leave it out - even though I would have loved a little heat, too - because I didn't want these to be too spicy for my husband. I seasoned the chicken breast with adobo seasoning when I cooked it and added some chopped cilantro to the chicken and vegetable mixture for a bit of extra flavor without getting too spicy. Heat or no, the flavors were really good. I had mine with a bit of salsa and sour cream, and extra cilantro and some avocado, but he ate his just the way they were. We'll be having these again. Soon - since I used half an onion and half a pepper, I only used half the chicken breast I cooked, so that means I got to make them again! They make a really good lunch, too. I added the jalapeno to those - because my husband wasn't home - and a squeeze of lime. So good!